Why would you shoot USPSA Competition? USPSA is a great way to become more proficient in gun handling and you probably already have a firearm that would allow you to compete in a USPSA match. Read on to get an understanding of what is needed to compete in a USPSA match. If you have any questions please feel free to contact the Stl Bench Rest Rifle Club match director for USPSA competition. Loaded Firearms: If you carry a gun, please stow it or unload it PRIOR to arriving at the range. USPSA events are strictly “cold range” (NO loaded firearm) events and that includes the parking area. Unloaded Firearms: There are designated safety areas at every USPSA match. These are the ONLY areas where handling of UNLOADED firearms is permitted. This area is where you’ll take your unloaded gun out of your bag and put it in your holster before the match or put it back in your bag after the match. If you have to work on a gun during a match, you can do it here, but there is NO handling of ammunition or loaded magazines in designated safety areas this includes dummy rounds. Loaded magazines can be on your belt while you’re in the safe area, but must NOT be handled. Handling of a unloaded firearm outside this area is a match DQ. Production Division: This division requires a basically stock semi-automatic handgun like mosts Glocks, Springfield XD/XDms, S&W M&Ps, Sigs etc. There is a published list of approved handguns on the USPSA website. Production shooters are limited to 10 rounds in each magazine at the start of a course of fire. 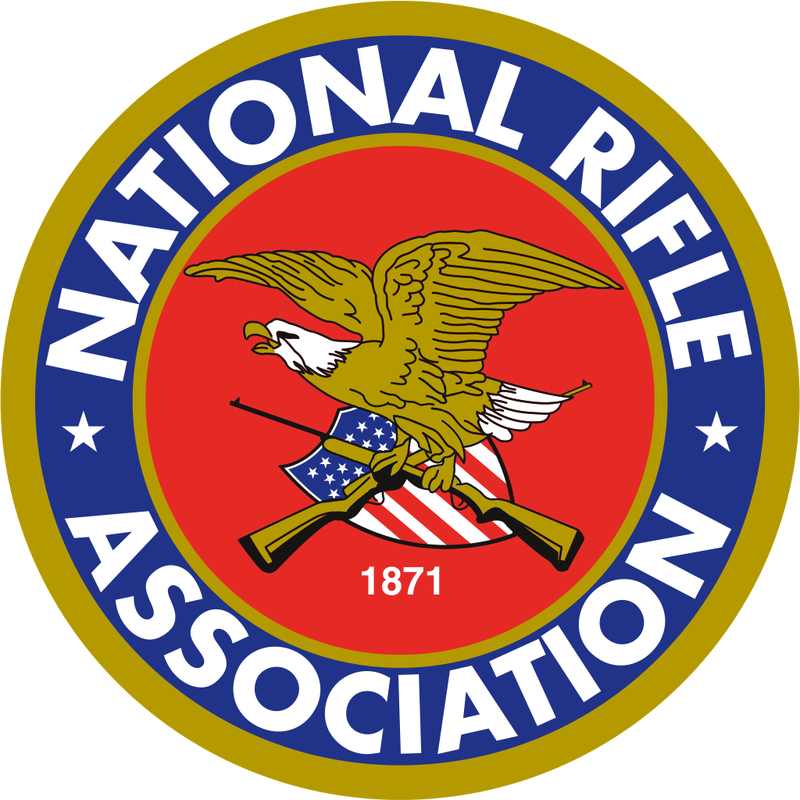 Restrictions exist for holster/magazine placement on the belt, permissible firearm modifications, etc. Many new shooters will compete in this division because it allows them to be competitive with a “stock” firearm they already own. No fancy race holsters are allowed in Production. A standard leather or Kydex holster attached to the belt is a great start (and no drop-leg holsters are allowed unless you’re active LEO or MIL and then you need to speak the MD for approval). You’ll want to start with at least 5 magazines in total. A 32 round stage with some steel targets on it can eat up ammunition fast, and nothing is more frustrating than running out of ammo before running out of targets. Limited Division: Limited division competitors do not have an ammunition capacity restriction (though there is a 140mm magazine length restriction). Magazines may be fully loaded, and some magazines will hold as many as 21 rounds! Modifications to Limited guns are much less restrictive. Things like magazine wells and thumb rests are allowed. No ported or compensated barrels or optics are allowed in Limited Division. “Race-type” holsters like the DAA Racemaster and the Ghost are allowed. Magazine and gun location on the body are relaxed. Limited-10 Division: Same as Limited division, but with a 10 round magazine restriction. Open Division: The “almost anything goes” division. Magazines up to 170mm in length are allowed and some configurations will hold as many as 29 rounds! Ported/compensated barrels and red-dot type optics are permitted. These are the “Formula One” guns in the competitive handgun world. Single-Stack Division: For 1911 style single-stack guns. Any caliber 9mm or above is allowed. You’ll need a belt that attaches securely to your body. It should make use of the belt loops on your pants. You’ll also need a holster that securely holds your firearm and fully encloses the trigger guard. An Outside-Waist-Band holster is not required, but is strongly recommended. Magazine pouches should hold your magazines securely on your belt. You’ll be running with your gun, so everything needs to stay where you put it. It’s rare that a local match will require more than 200 rounds of ammunition. If you bring 200 rounds you should be fine (unless you’re prone to missing a lot, in which case use your best judgement. And of course you’ll need good, impact rated eye protection at all times when you’re on the range and hearing protection too. A 165 grain bullet going 1000 FPS has a PF of 165 and would be a major PF round. A 124 grain 9mm bullet going 1010 FPS per second would be minor power factor at 125.2. You have to push a 9mm at 1331 FPS to make major power factor. Many Open division shooters do this. Production Division: ALL production shooters, whether they’re shooting a soft 9mm hand-load or full-power factory .45 are scored using Minor PF. As such, most Production competitors use 9mm rounds making between 125 and 135 PF. Why battle recoil when there’s no benefit for doing so? Limited/Limited-10: Competitors using 9mm/.38 are scored using Minor PF only. Competitors using .40 or .45 can be either Minor or Major PF. Most competitors in these divisions shoot Major PF, otherwise they lose a point for every non-A zone hit compared to their competitors.- Open: In Open division, the calculation is king. Any caliber 9mm or larger can be either Minor or Major. Revolver: Any caliber 9mm or greater can be either Minor or Major, however for Minor PF, 8 shot revolvers are allowed. Major PF is restricted to 6 rounds (you could use an 8 shot revolver for Major PF but could only fire 6 shots before reloading). Single-Stack:: 9mm/.38 is Minor PF only. .40 and .45 can be Minor or Major. Minor PF guns can be loaded to 10 rounds, Major PF only to 8. You’ll declare whether you’re Major or Minor PF when you register for a match. For local club monthly matches, it’s an honor system as there is typically no Chronograph stage at these matches. If you hand load, you probably know how fast your bullets are moving, so you can make an accurate declaration. If you’re shooting factory ammo and haven’t chrono’d it, you’re probably safe to declare Major PF if it’s available for your division/caliber. Most factory ammo is fast enough or close enough to be Major. At major matches like State/Sectional/Area/National championships, your ammo will be tested by match officials using your gun, so you need to know your power factor before attending one of these matches. If you declare Major but only make Minor PF at the chronograph, they’ll just adjust your scores accordingly. There is no other “penalty” for being wrong. When you get to the match, you can put on all of your gear at your car EXCEPT your gun. Then you can proceed to the designated safe area to un-case and holster your gun. Remember, you can have loaded magazines in the safe area, but you CANNOT handle them there. Violating this rule will result in a match disqualification. Remember, safety first and always. First time shooters need to attend a new shooter briefing. This will be announced before the match starts. There will be a shooters brief or safety brief for all shooters right before the match. After that, shooters will head to their respective bays. Our club matches are usually 6 “courses of fire” or “stages”. Competitors are split up into “squads”, typically with the number of squads equaling the number of stages. Start time is usually 7:00 AM and ends around 2:30 PM. Every stage starts with the range officer reading the Written Stage Briefing out loud to the entire squad. This stage briefing tells you where the start location is on the stage, what the shooter start position is (hands at sides, hands at surrender position, etc), and what condition your firearm must be in (loaded/unloaded, on a table, etc). It will also tell you scoring parameters for the stage (we won’t get into the specifics, but some stages are “shoot ’til you hit ’em all” and some specify a number of rounds that may be fired without penalty). Once the written stage briefing has been read you’ll have a few minutes to walk the stage and get your plan together for how you’re going to engage the targets. Remember, you cannot unholster your gun during this walk through…”air gunning” only. When it’s your turn to shoot, you’ll proceed to the designated start location and wait for instructions from the Range Officer. 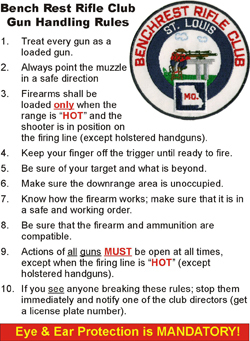 DO NOT unholster your gun until you are told to by the Range Officer, as people may be downrange setting up targets, etc. The first instruction you’ll be given by the Range Officer is this: "MAKE READY". This command tells you it’s time to unholster and load your gun (unless the stage calls for an unloaded start). Once you’re ready to go, you’ll assume the start position (that could be “surrender position”, sitting in a chair, standing with your hands relaxed at your sides, etc) as defined in the stage briefing. The Range Officer will then ask you “ARE YOU READY”. You are not required to respond to this command. No response is considered an affirmative just the same as saying “I’m ready”. It’s your choice. The next command you’ll receive is “STANDBY”. This tells you that the start buzzer will follow in the next few seconds. Once the buzzer sounds, the shooting begins! There are a few important safety rules to remember while you’re shooting. There is an imaginary “180 degree” line that is the boundary between “up-range” and “downrange”. This line generally moves with you as you move through the course of fire. Pointing your weapon “up-range” of the 180 degree line is a safety violation and will result in match disqualification. Anytime you are moving and not engaging targets, your finger MUST be visibly outside of the trigger guard. When you are reloading, your finger MUST be visibly outside of the trigger guard. You may NEVER holster a loaded handgun except at the initial “make ready” command. When you finish the course of fire, listen for and follow the Range Officer commands to unload and re-holster your gun. If you hear the command “STOP” from the Range Officer, cease movement and shooting, face down range with your gun pointed into the berm and listen for further instructions. It could be something simple like a piece of steel that fell prematurely, or something serious like someone down range or you have committed a safety violation and are being stopped. When you have completed the course of fire, the Range Officer will say “IF YOU ARE FINISHED, UNLOAD AND SHOW CLEAR”. At this point, if you are in fact done shooting, remove the magazine from your gun (or moon clip for the revolver guys), lock the slide back and hold your gun so that both you and the Range Officer can view your chamber. Once you have both confirmed that your gun is unloaded, the Range Officer will give the command “IF CLEAR, HAMMER DOWN AND HOLSTER” (or “IF CLEAR, CYLINDER CLOSED AND HOLSTER” for revolver guys). At that point, you can close your slide, point your gun into the berm and pull the trigger to drop the hammer or striker, then put your gun back in your holster. DON’T RUSH the unload and show clear commands it is not timed! The course of fire formally ends when the Range Officer gives the command “RANGE IS CLEAR”. At that point, you can proceed down range with the RO and the scorer to score your targets. Scores are usually posted within a few hours. 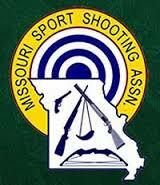 Scores and upcoming match registration can be found at Stl Bench Rest Rifle Club USPSA Registration.